MTNL Opines Internet.org & Airtel Zero Violate Net Neutrality; No Update From Govt. Yet! Mahanagar Telephone Nigam Limited (MTNL), which provides telecommunication services in Mumbai and New Delhi, has come out strongly against Internet.org project and Airtel Zero scheme, terming them against Net Neutrality principles. In one of the comments shared by MTNL on TRAI’s consultation paper on this issue, they said, “In any of the cases, the basic concept of net neutrality i.e. ‘No discrimination/favour for any specific OTT service/s in terms of cost and access to subscribers’ will be defeated”. MTNL argues that telecom players should not negotiate directly with OTT providers, as it can kill customer’s interests and induce an environment where prices and services can be manipulated in the wrong manner. However, they have suggested a fair revenue sharing model which can benefit both the telecom players and services providers, without harming the customers and violating net neutrality principles. MTNL is one of the largest telecom service providers in New Delhi and Mumbai, with assets of more than $7 billion and employee base of 45,000 (as per 2010 stats). 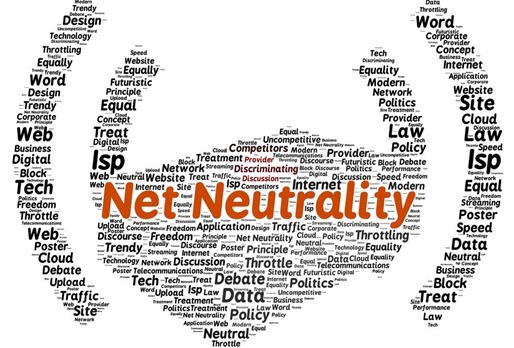 Their statements for net neutrality can have a major implication on the telecom industry as they are direct competitors to Airtel and Reliance which have introduced and supported anti-net neutrality plans. In case customers from Mumbai and New Delhi divert to MTNL from these private companies, then it can leave a major dent in their revenues structure. Previously, we had shared that IAMAI, a powerful lobby of Internet and IT based companies in India have blasted TRAI for supporting such anti-net neutrality plans. Even Telecom Minister Ravi Shankar Prasad has endorsed the view that Internet should be free from such malicious attempts to enslave it. As per reports, they may include net neutrality as a condition for granting telecom licenses, which is certainly a welcome step. Meanwhile, Star India in their counter comments on the TRAI’s consultation paper suggested that considering OTT players have enabled more data consumption among Indian users, telecom players should share revenues with them. In this sense, even Star India should be able to get some revenues from telecom players, in case their content encourages more data usage and consumption. This is certainly a valid point, considering that OTT players and content creators are the one who are enabling higher data usage, and in place of restricting access and offering discriminatory plans, telecom players should partner with them and enable even higher data usage. We have already reported how Airtel and Idea are experiencing an all time high revenues from data usage, and their theory of low profits due to OTT players is totally debunked. Yesterday Vodafone also announced that their data revenues have surpassed all expectations. Previously, Govt. had announced that they will come out with a verdict on net neutrality debate on May 9th. However, as of now, there has been no update from their end. We will keep you updated as more news come in.. This coming from a company that itself, illegally injects scripts using middle man techniques into its own customers browsers.